Not every Facebook announcement is memorable. Some F8 events have left marketers disappointed, wanting more. But F8 2016 provided hit after hit after hit to help the publisher. And I’m not even going into virtual reality, branded content, Sponsored Messages ads, developer tools (Account Kit, analytics for apps, Graph API v2.6, Messenger Platform and bots) or video (cross-posted videos, total-performance Insights, Video Rights Manager, Live API). You see? 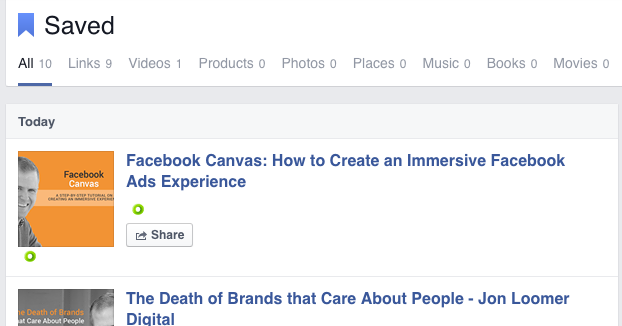 Facebook announced a whole lot of stuff. A whole lot of good stuff. 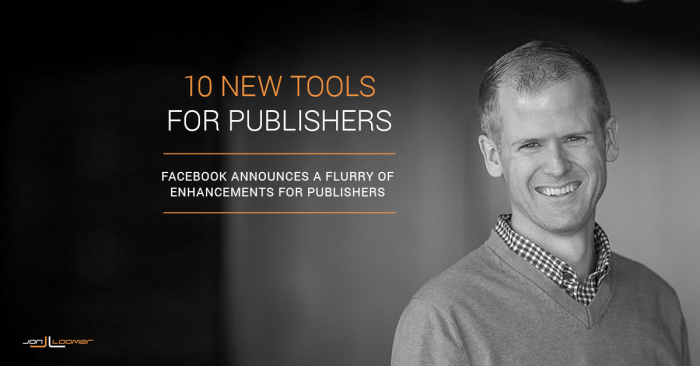 But today, I’m only going to focus on the changes made that help publishers. Instant Articles allow publishers to share content from their website that loads immediately from a mobile device when a user on Facebook clicks a link (the average load time for a link clicked on Facebook from a mobile device is eight seconds). The format provides new and dynamic ways for publishers to provide an immersive experience with their content while also giving the publisher monetization options. It was a feature previously only available to large media companies. 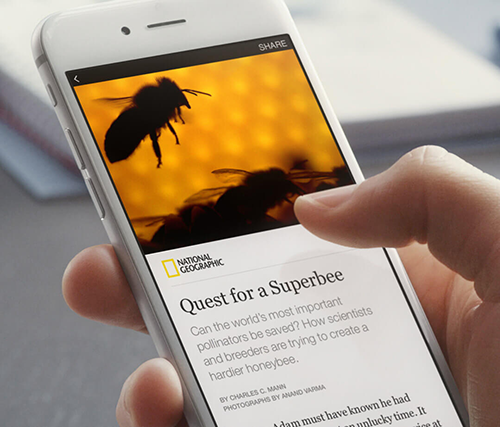 As of April 12, however, any publisher — big or small — can publish Instant Articles. 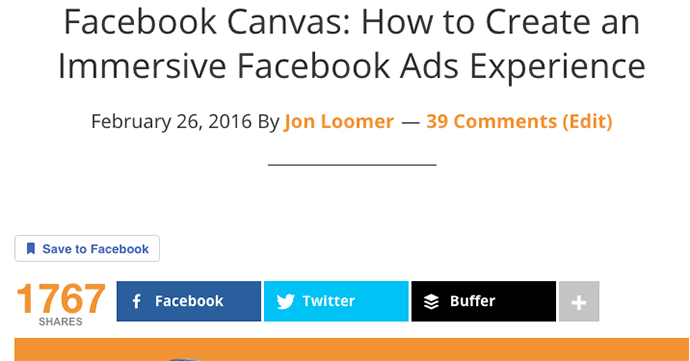 1) Go here to sign up and get started with Instant Articles. 2) Install the Instant Articles for WP plugin. Once you’ve completed these two steps, you can go through the process of creating Instant Articles from your Publisher Tools. Again, there are several steps to this and we’ll need to cover it on another day. But you have the primary tools to get started. 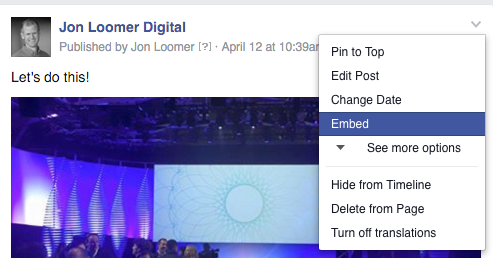 We’ve been able to embed Facebook posts on our websites for a while now, but Facebook has improved this feature. Not only do publishers have more control over the look and size of the embedded post (it also adjusts automatically for mobile), it loads twice as fast as the old version. Then copy and paste the code to a page on your website. You’ll notice options to adjust width, height and styling. You can also change the language. 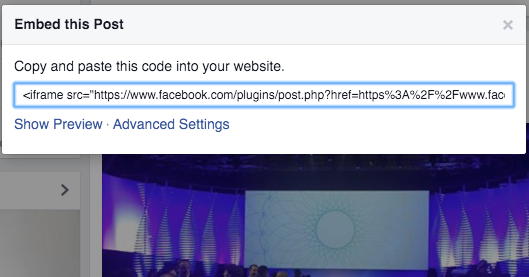 Note that this plugin (and many other plugins mentioned in this post) will only work if you have the Facebook SDK installed on your site. Go here to learn more. In addition to the improvements to embedded posts, publishers can now embed live videos on their websites. They are embedded the same way as instructed above. Once the video is no longer live, it will still be available to view as a recorded video. 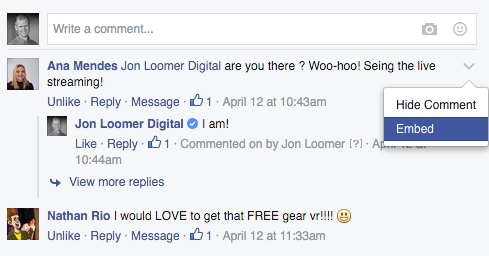 You now have the option to embed a single comment on a post from Facebook on your website. I’m currently experimenting with placing one of these buttons above and below my blog posts. If you click the link to “View on Facebook” you’ll see a collection of your saved posts — both on Facebook and websites using that button. When you highlight text on my website, a button will come up to “Share Quote.” When you click that button, it will bring up a dialog to share the link, highlighting the quote at the top. 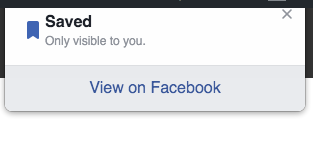 Once again, for this to work you first need to have the Facebook SDK installed. Want to try it out? Go ahead! Highlight the following (or any) text on this page! 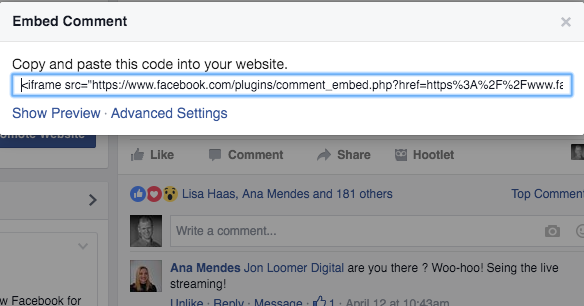 At F8 2016, Facebook announced the Quote Sharing plugin. 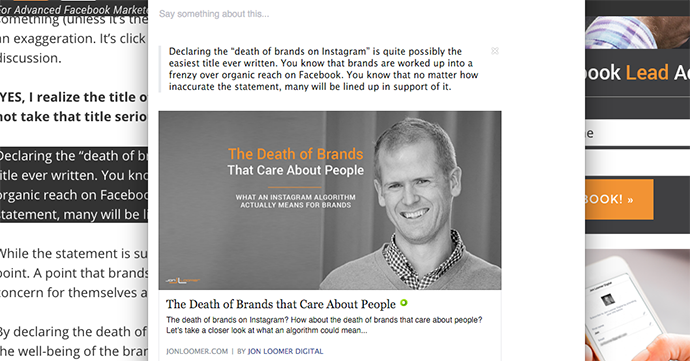 When activated on publisher websites, readers can highlight their favorite quote and immediately click to share the quote — and the link — to Facebook. 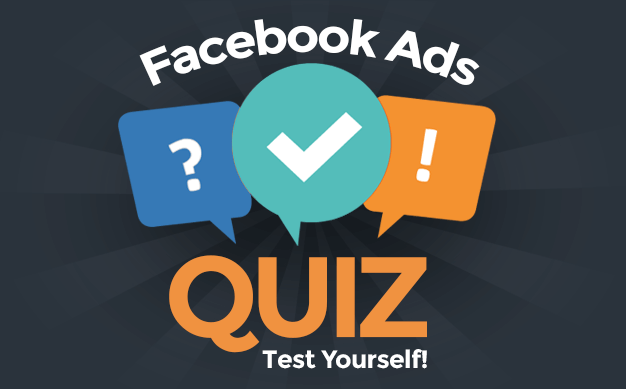 Sharing to Facebook from a mobile device was previously clunky. After clicking the share button, a new tab would open. With this update, this dialog can open up in an iframe. That’s done by adding a single line to the share code. If you use a third party tool like I do, however, you’ll need that tool to update their code (or get a developer to help you). 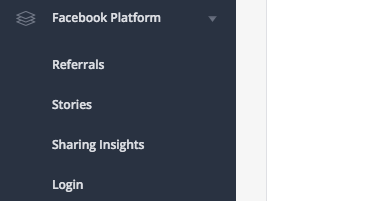 If you go to facebook.com/analytics, you’ll see some great new analytics for apps. This may mean nothing to you if you aren’t an app developer. However, it still should mean something to you if you are a publisher. I now get to see all kinds of interesting anonymous information about the types of people sharing my articles to Facebook (no matter how they shared). 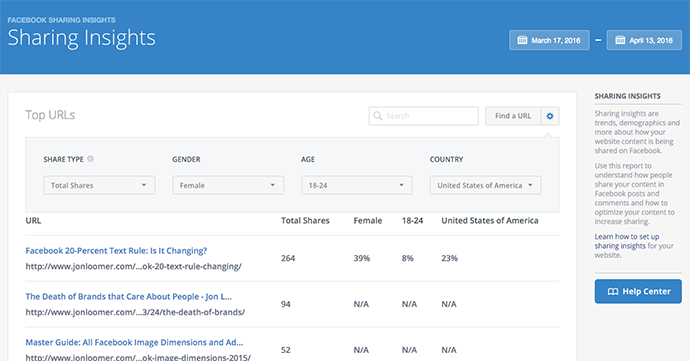 You’ll be shown a list of your most shared articles based on the time period selected at the top right. In the example above, 39% of readers who shared my post about the 20% rule were female, 8% were between the ages of 18-24 (35% were 25-34) and 23% were from the United States. 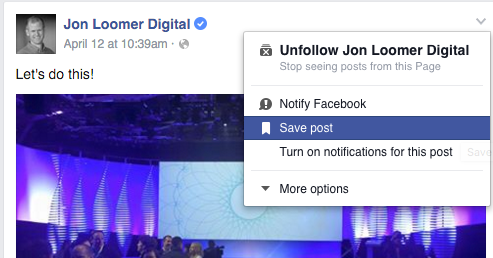 Want to see why a post isn’t sharing properly to Facebook? Use the Sharing Debugger. 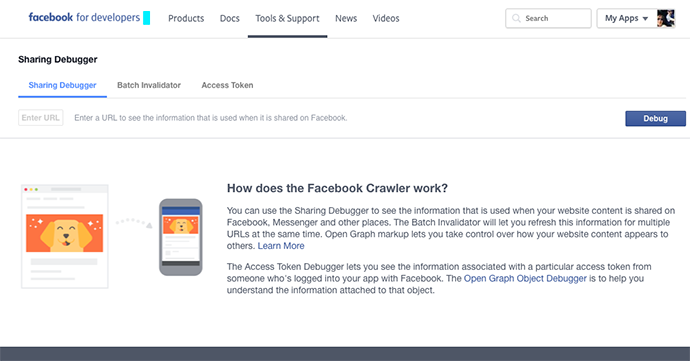 The Debugger will provide clarity on errors and problems that need to be fixed to display properly when shared to Facebook. For more information, check out the Link Sharing FAQ. If you use the Comments plugin on your website (I don’t yet, but I still may one day), Facebook added some moderation power. To combat spam, there’s a new flagged queue, a new function that automatically closes comments after a certain date, and partial word matching in the blacklist. Facebook is also opening up the comments mirroring feature so that comments made on a post shared from your page will also be displayed on the blog post (and vice versa). Go here for more information on setting up moderation. As someone who prioritizes content on my website, these updates are a big deal to me. What do you think?